Located in Ma’anshan City, Anhui Province, MaanShan Annaite Slewing Ring CO.,Ltd(hereinafter referred to as ANNT) covers an area of 8.671 hectares. With standard workshops covering an area of 10,000 square meters, 20 experienced R & D personnel and a group of workers who have been professionally manufacturing slewing bearings for over 20 years, ANNT is a company professionally manufacturing slewing bearings that combines design, production and R & D.
The structures of ANNT’s products mainly consist of Four-point contact single-row ball slewing ring, Double-row different ball diameter slewing ring, Single-row cross roller slewing ring and Three-row roller slewing ring. They are deigned and manufactured according to the national construction and machinery industrial standard JB/T10839-2008 and the national machinery industrial standard JB/T2300-1999. Meanwhile, ANNT can also design and manufacture nonstandard slewing bearings per customers’ requirements. ANNT guarantees the quality and lead time of its products with modernized CNC equipments, modernized management measures and complete testing system and facilities. 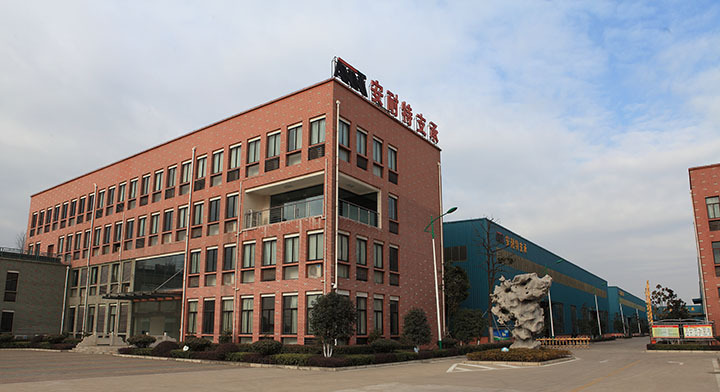 ANNT is a professional manufacturer of high-precision and common slewing bearings and matching precision-grade slewing bearings for various high-precision facilities. As matching accessories for excavator, tower crane, truck crane and crawling crane, ANNT’s products are extensively applied in industries such as engineering machinery, construction machinery, mining machinery, port machinery, environment protection light industrial machinery, petrochemical machinery, filling machinery, military industries, wind power generation etc. ANNT adheres to its operation philosophy of “Honesty is the best policy and innovation helps you achieve your goal”. The company tries its best to make “ANNT” to be the best brand in the industry of slewing bearings with its high-quality products and quick and thoughtful services, in the hope of better serving customers at home and abroad, creating common value and achieving a win-win situation for all parties involved!